This is Pepper. We Got Her At The Dog Pound. 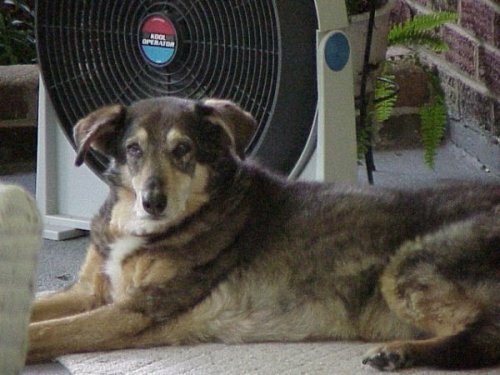 She Loved To Lay In Front Of Her Fan In The SummerTime. She Was A Good Dog But She Was Mean To Charlie The Beagle. She Got Down In The Hips After 16 Years and We Had To Put Her Down.